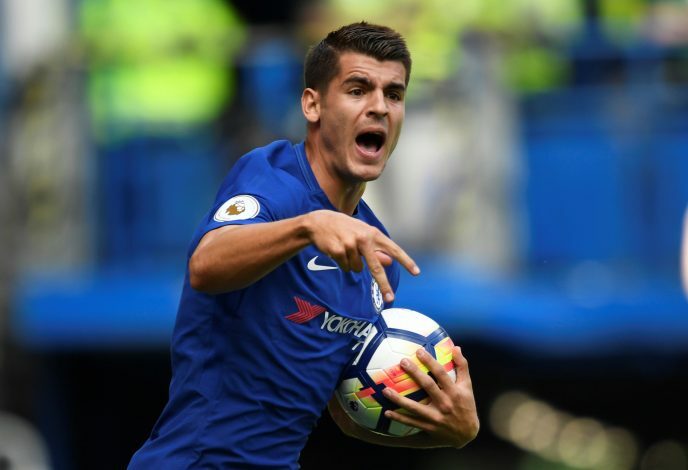 On Sunday, Alvaro Morata made Premier League history during Chelsea’s encounter against Everton, as the new arrival became the first Premier League player to have scored and assisted in both of his starting home games. The Blues triumphed in their third league match, securing a 2-0 victory owing to goals from Fabregas and Morata. This victory comes on the heels of a 2-1 screamer against Tottenham last week. The two positive results calmed down some of the embarrassment that their opening day 3-2 shamble against Burnley created. Another thing the London club will want to forget is the 24-year-old Spaniard’s bumpy start to the season. Morata missed a penalty in the shootout during their defeat to rivals Arsenal in the FA Community Shield, much to Antonio Conte’s dismay. However, his performances at Stamford Bridge have been nothing short of spectacular. His debut saw him net the compensation goal against Burnley before he went on to assist their second goal, aiding David Luiz getting on the scoresheet. While the team’s attempt proved futile, it was clear why Conte had signed the striker. Sunday’s clash with Everton had a much better tale to tell. The youngster’s antics commenced with a brilliant link up with Cesc Fabregas, providing the assist to the midfielder’s opening goal. Morata then scored a goal of his own which sealed the three points in the 40th minute, translating a cross from Cesar Azpilicueta to the back of the net. From this, it is clear that the dynamics with his compatriots will be a sight to feast on for the Stamford Bridge faithful. We can be certain that Morata won’t be satisfied with just one piece of history created. His move from Real Madrid was done with an adamant intent to carve his name in world football. Having played alongside the likes of Gareth Bale and Cristiano Ronaldo, if you look closely, the infectious hunger for success is clear.